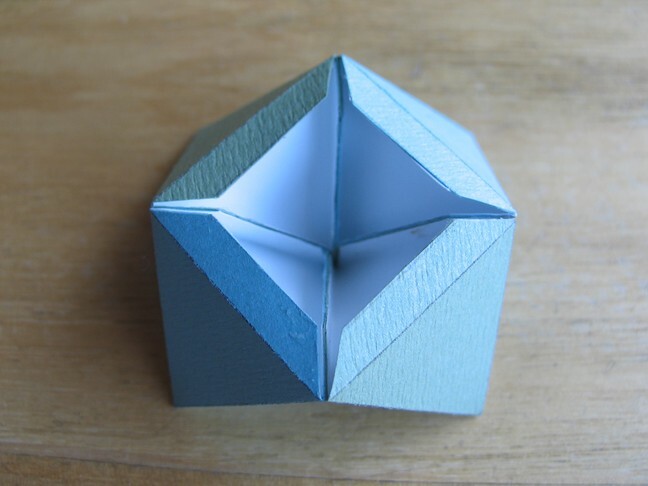 Known as the Stella Octangula, this is a compound of two tetrahedra. 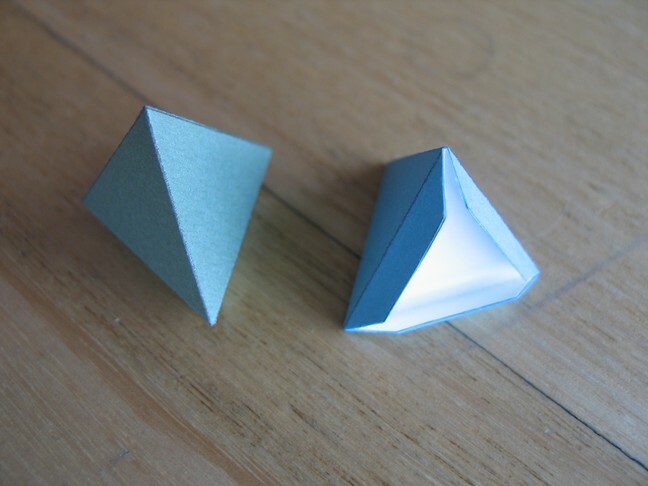 It may be seen as a compound of a tetrahedron and its dual, another tetrahedron. It may be constructed using Great Stella in various ways. 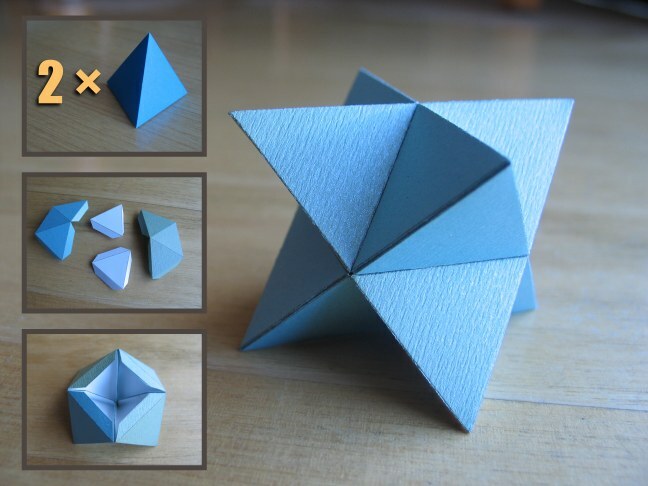 As a stellation of the octahedron. As a faceting of the cube. 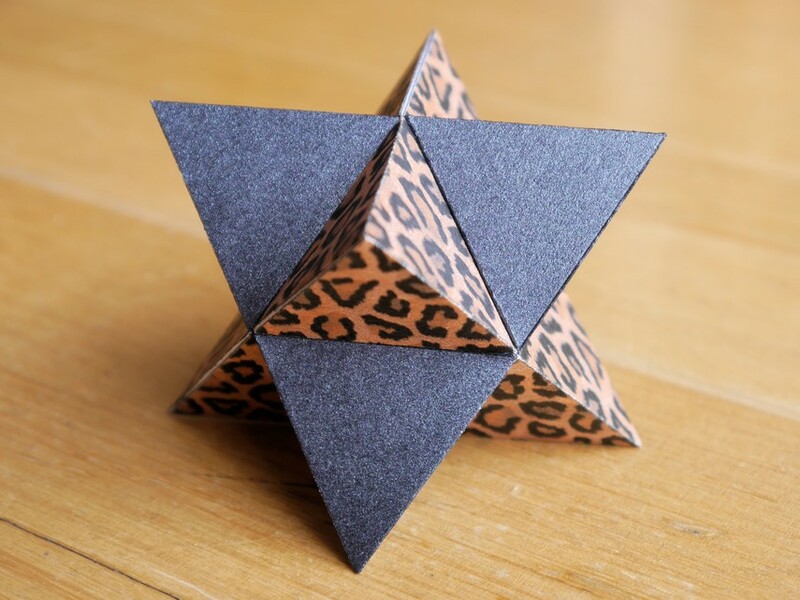 Or by adding the tetrahedron to its dual via the menu item "Poly→Add Base Model and Dual". Here are a couple of the nets required. I glued the white triangles into the base of each peak for additional strength. A couple of completed peaks, with those white triangles glued inside. 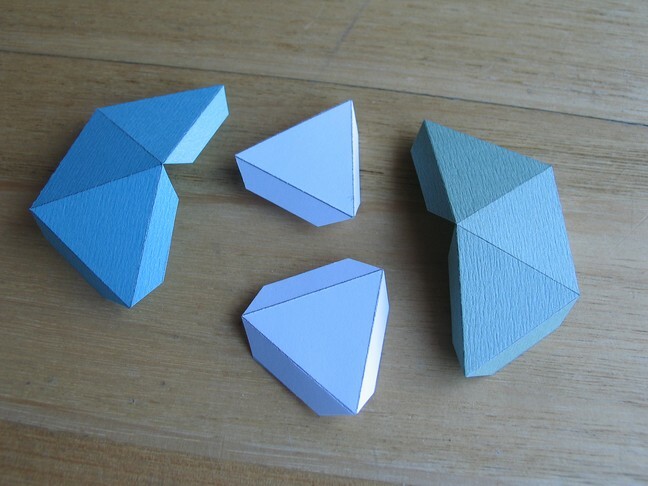 Finally just attach eight peaks together as you would faces of an octahedron. Half way there. Here is a Leonardo-style model of the same thing.